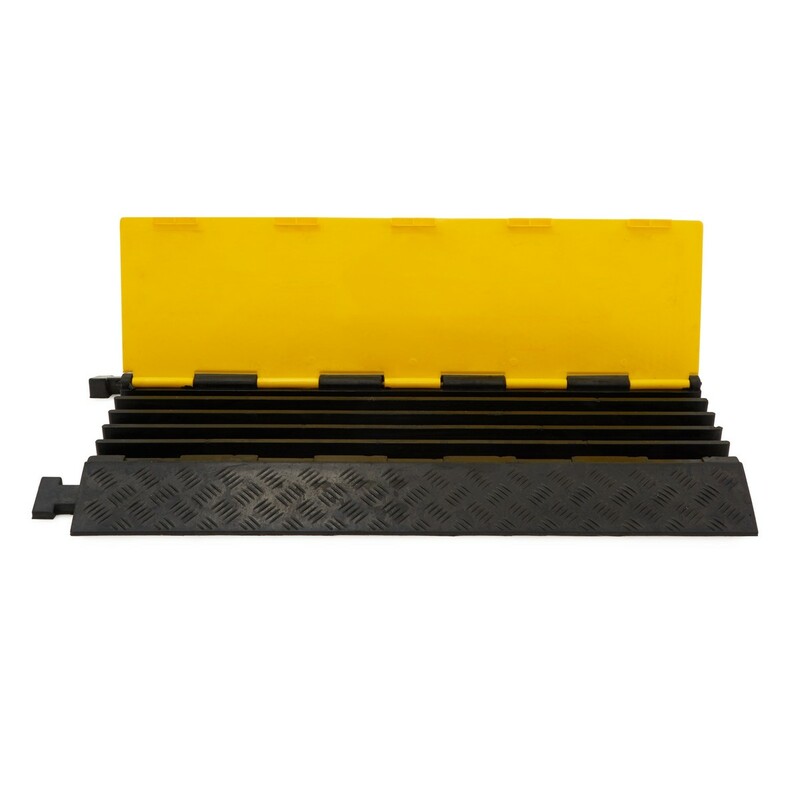 The 5 Channel Cable Protector Bridge by Gear4music, is a heavy duty cable protection system with a load capacity of up to 7.5 tons. 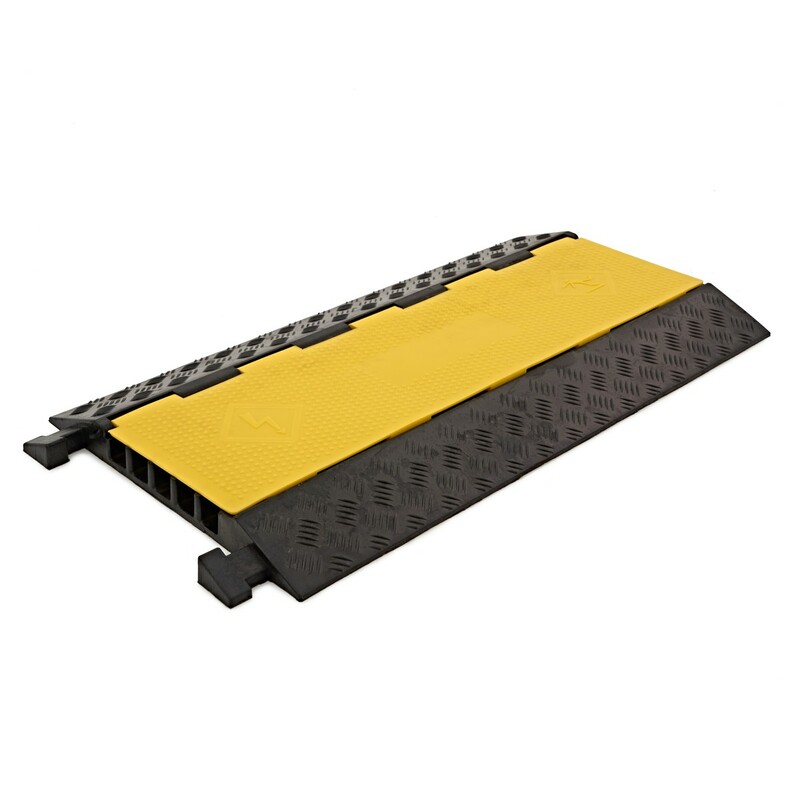 Predominantly made from high strength rubber and utilising a yellow polyethylene lid, this cable bridge is suitable for outdoor use. The non-slip surface and high visibility lid ensures hazards and risks are reduced.